Are You a Small Business in Need of Fast Funding? Posted 3:46 am by BitX Funding & filed under Alternative Lending, SBA Loan Facts, Small Business Loans and Business Credit. 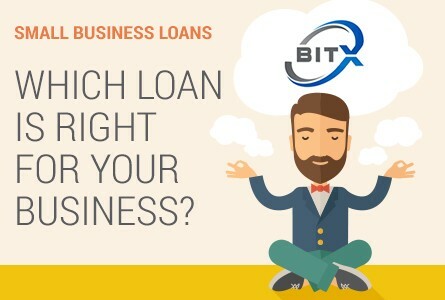 Should I Consider Alternative Business Loans for My Small Business? What is the best return policy for your small business? What is a 7a SBA loan? Be Among the First to Know! Sign up for our free e-newsletter for the latest news, tips and more! Bitxfunding.com is an independent, advertising-supported comparison service. The offers that appear on this site are from companies from which Bitxfunding.com receives compensation. This compensation may impact how and where products appear on this site, including, for example, the order in which they may appear within listing categories. Other factors, such as our own proprietary website rules and the likelihood of applicants’ credit approval also impact how and where products appear on this site. Bitxfunding.com does not include the entire universe of available financial or credit offers.